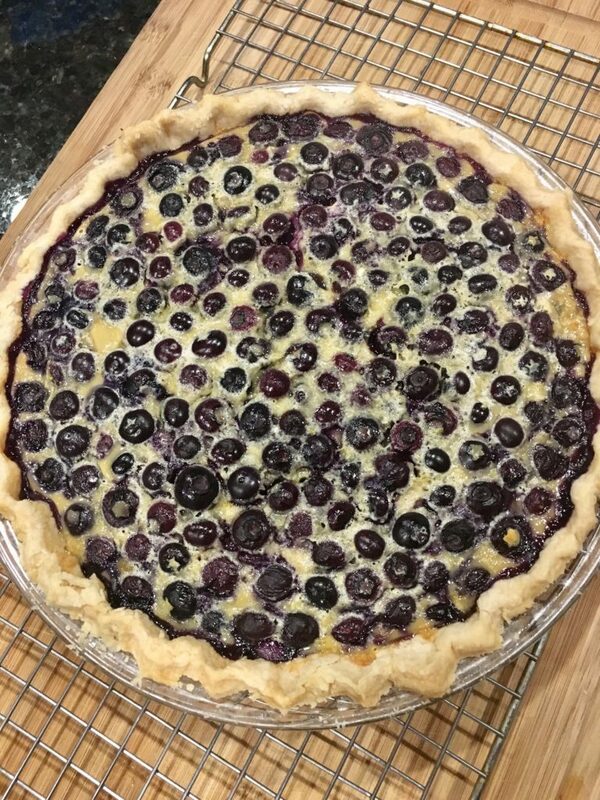 When blueberries are on sale and you buy way more than you’ll eat before they spoil, what better way to use them then in a pie! This is my grandmother’s recipe, and you can use basically any fruit you prefer in it (apples, peaches, cherries, raspberries). It’s easy to make and always a favorite. Fit pie crust in a 9-inch pie pan. In a medium bowl, blend sugar, flour, cream, egg, and vanilla and beat until smooth. Bake for 1 hour, until center is set. Let cool before refrigerating and serving. 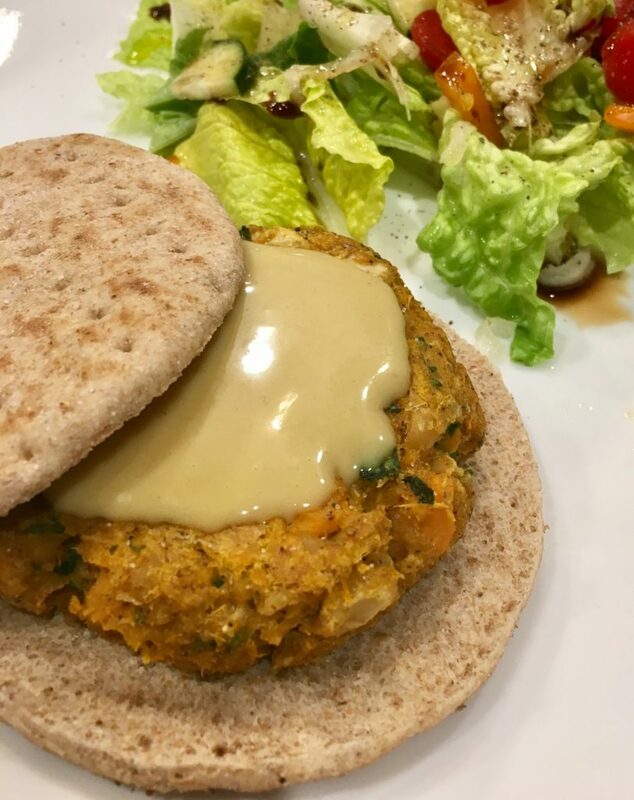 I’m always looking for more vegetarian options to incorporate into our meal rotation, and homemade veggie burgers are an easy option. I love that I can make a bunch in advance and freeze them for an easy weeknight meal. Plus, these are inexpensive to make and I typically have all the ingredients on-hand. Looking for other veggie burger recipes? Try my black bean burgers. Combine the honey mustard sauce ingredients in a bowl and refrigerate until ready to serve. Poke several holes in the sweet potato with a fork and then microwave until tender. Let cool. Cut the sweet potato in half, and scoop out flesh into a large bowl. Add the chick peas and mash together. Add to the mix the onion, garlic, spinach, chili powder, parsley, egg, bread crumbs, and flour, and stir to combine. Place on a greased baking sheet, and bake at 375 for 20 minutes, flipping halfway through. Serve on wheat rolls with honey mustard sauce. *To freeze: After forming the mixture into patties, wrap them in wax paper, put them in a resealable bag, and pop them in the freezer. Defrost on the counter for a few hours and then bake according the recipe directions. Does anyone else hoard overripe bananas in their freezer? I always seem to have a running bag of bananas in my freezer that I intend to use for baking but then forget about. 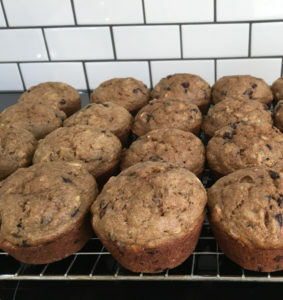 So when I was cleaning out my freezer this past weekend, I busted out the black bananas and made a big batch of these healthier banana muffins from Cookie and Kate. Grease a muffin tin with nonstick cooking spray. In a large bowl, combine the flour, oats, baking soda, salt, and cinnamon. In a separate bowl, beat together the coconut oil and maple syrup. Add the eggs, milk, and vanilla, and beat well. Mix in the mashed bananas. Stir the dry ingredients into the wet ingredients until combined. Divide the batter among the 12 muffin cups, filling each cup about two-thirds full. Bake muffins for about 25 minutes, or until a toothpick inserted into a muffin comes out clean. Place the muffin tin on a cooling rack to cool. Remove from pan and serve. *To freeze: Allow muffins to cool completely. Wrap individually with plastic wrap and then place together in a resealable bag. To serve, defrost on the counter or in the microwave.